What I do is build things. I strive for pretty ,wonderful feeling in your hand things. I like to work in silver , gold and sometimes bronze. Very often the unique gems and materials I use are found in small quantities. These result in limited edition or one-of-a-kind pieces here in my gallery. Its good to check in from time to time to see whats new. I am inspired by my experiences out doors in nature, and from seeing other artists ,the internet, and as a hunter in the deep jungles of the antique business. I will always gravitate towards making beautiful things that please my eye. Hopefully yours too! 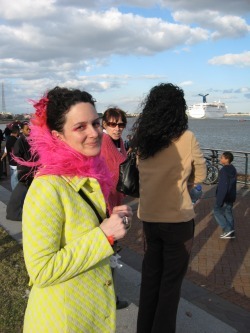 I am originally from Massachusetts, but I've lived in New Orleans so long now Ive grown roots. It is my home & where I create. My art education started at home with my Dad. He always encouraged me to tinker and put things together. My formal schooling .... Massachusetts College of Art ..... The Penland School....and time spent apprenticing under some pretty masterful jewelers . Then becoming full time bench jeweler holding my own shop up...as well as periodic stops at seminars and workshops along the way. I have been making metal things/ jewelry since 1987.